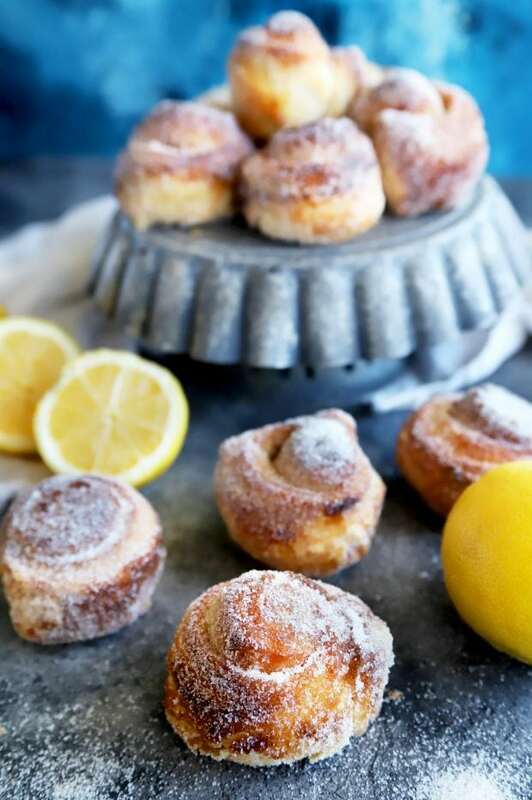 Everyone will jump out of bed for a fresh batch of Easy Lemon Sugar Buns! 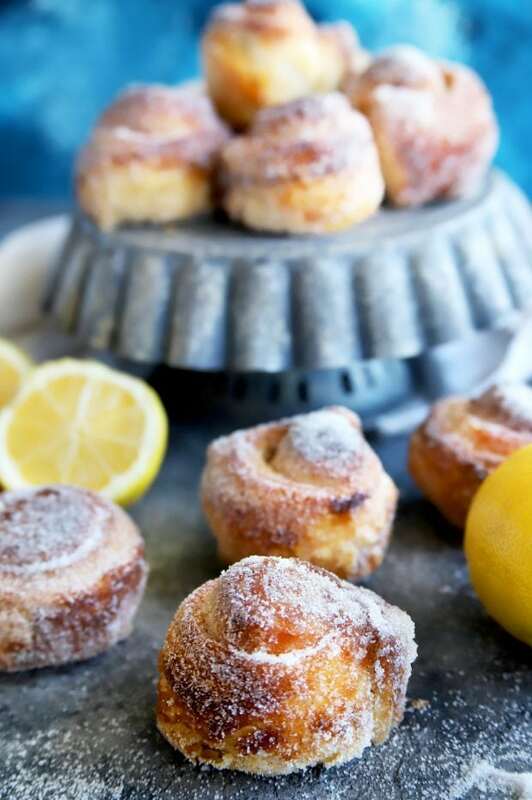 With the bright burst of lemon zest rolled up inside, these sugar-coated treats are ideal for spring. 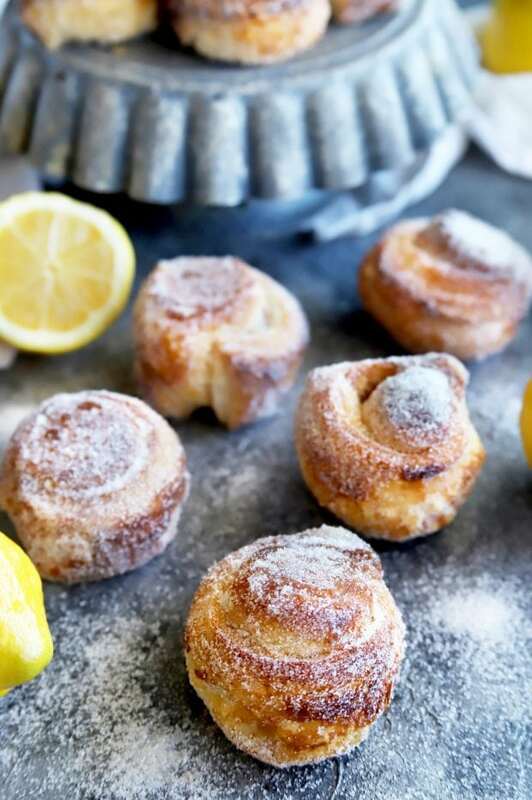 Pair with coffee or your favorite mimosa! Now, most of you know I am not a morning person. Like, at all. I used to be one though! The alarm would go off and I would jump out of bed, ready to take on the world. All I know is that it takes something exciting to get me out of bed in the morning. 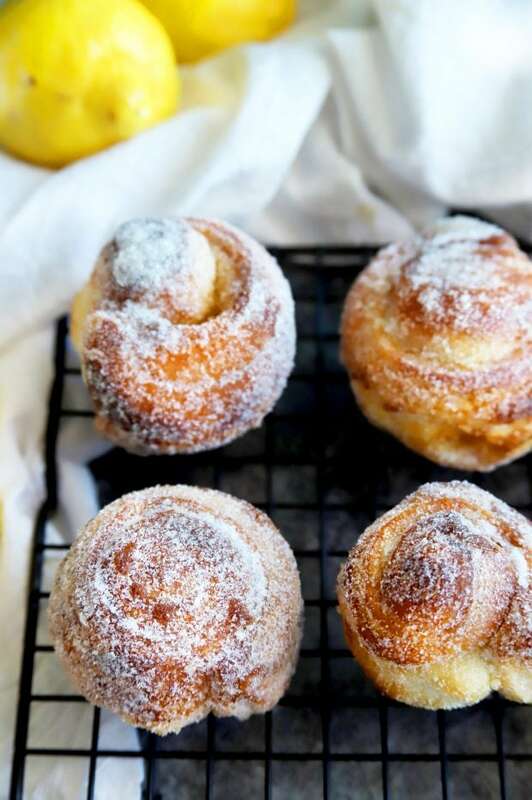 These little easy lemon sugar buns are exactly the thing to get me excited to start my day. 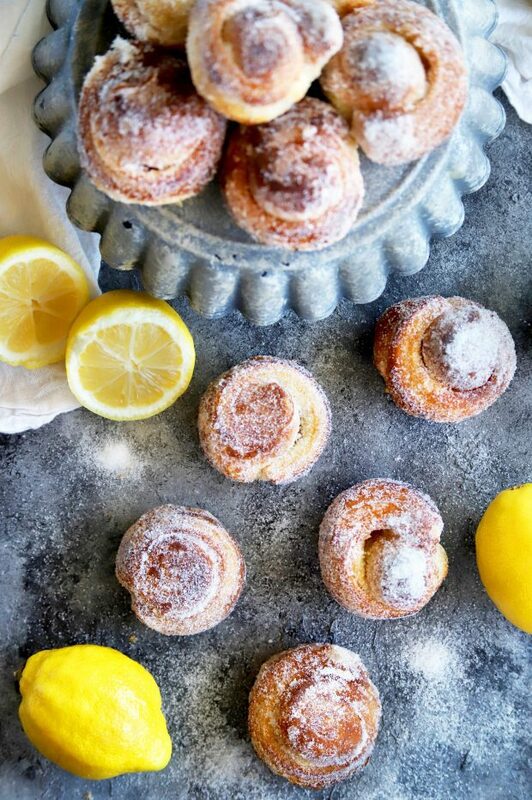 I LOVE pastries like these. Whenever we travel, I’m constantly looking in coffee shop windows, hoping to find a sweet pastry treat to go alongside my caffeine fix. Half the time it’s how I decide whether or not a coffee shop is worth stepping into. Judgmental? Perhaps. Illogical? Absolutely NOT. Now you can turn your own home into you very own little coffee shop! 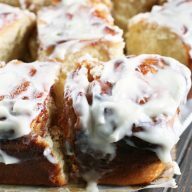 These sugar buns are so stinking easy to make. You only need 5 ingredients! Most likely you probably already have those ingredients in your house, if you’re anything like me. The best part is, there’s no fiddling with making pastry from scratch. As much as I LOVE baking, making puff pastry is a whole lot of work. 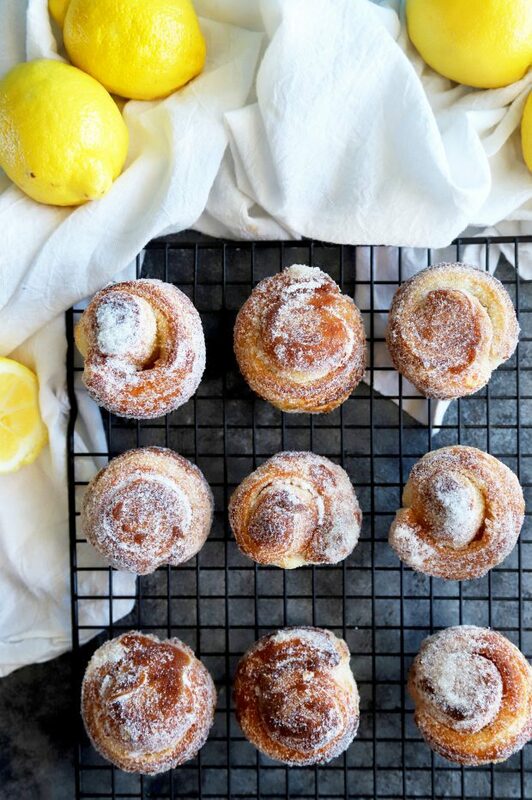 I took a French pastry class a handful of years ago, and it taught me one important thing. Buying puff pastry is 100% OK.
We all don’t have hours to make it at home, let’s be real. 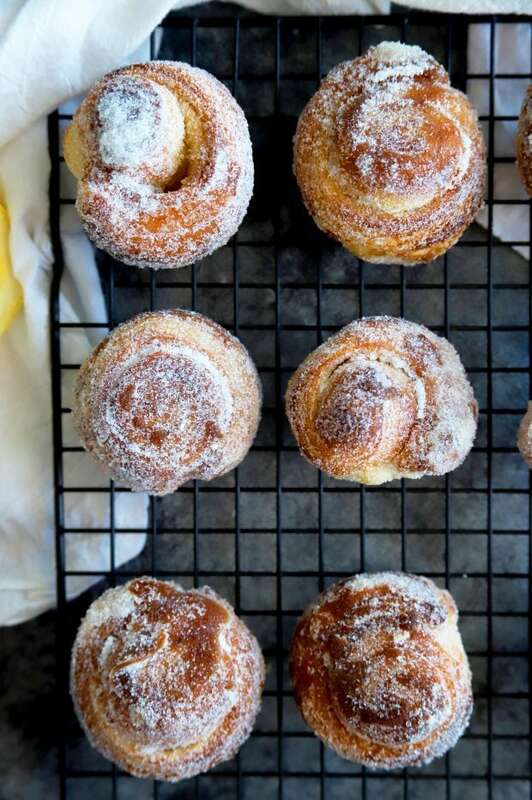 In just a few simple steps, you’ll have these sugary, bright buns in your kitchen alongside your coffee or favorite mimosa. 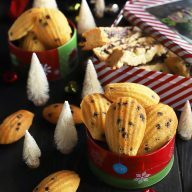 They also travel well, so be sure to bring them to your next brunch or breakfast gathering! Everyone will swooooooooooon. 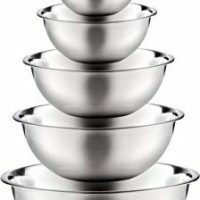 Stainless Steel Mixing Bowls are what every kitchen needs. 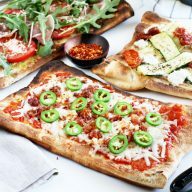 With all the different sizes, you can easily make anything you need to! I loooooooooove my Fox Run Marble Rolling Pin and Base! It’s the prettiest rolling pin and the most functional one I’ve ever used. The rolling pin stays cold, making it easier when you are working with pastry. In addition, it’s nice and heavy so you don’t have to put a lot of strength whenever you are rolling out your recipes. 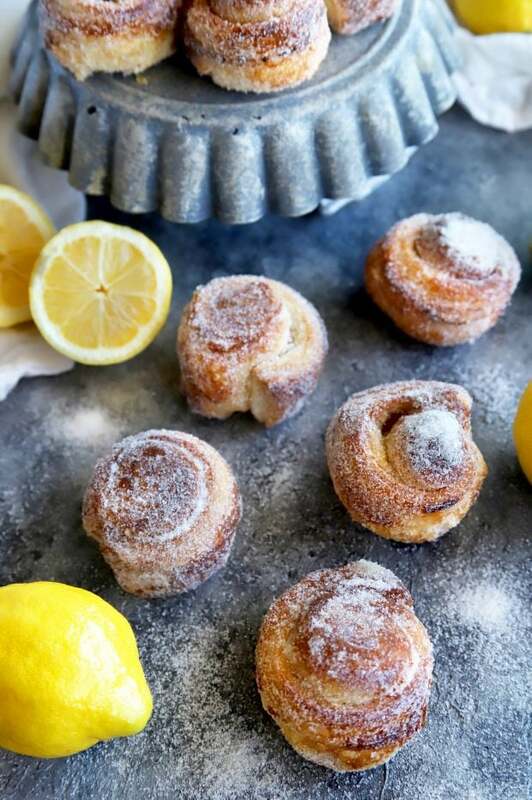 This USA Pan Bakeware Cupcake and Muffin Pan is perfect for these sugar buns (as well as any cupcakes, muffins, and more). It’s heavy duty and it will last you for years! 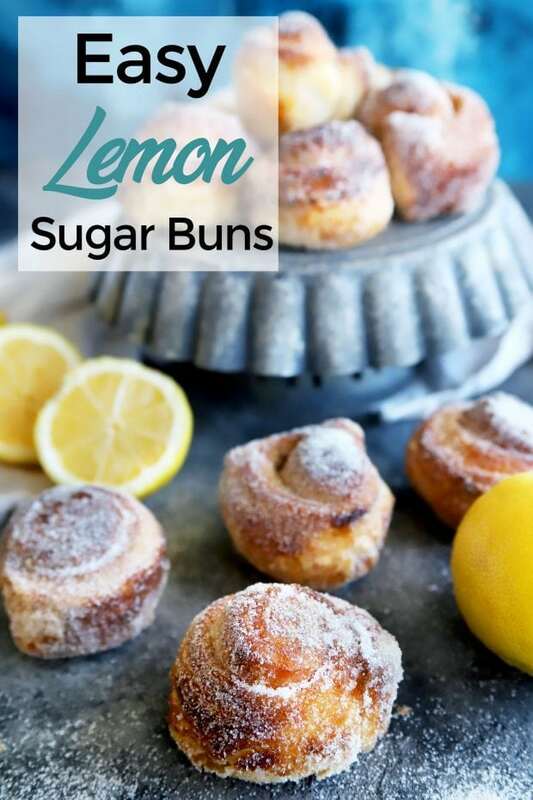 Pin this Easy Lemon Sugar Buns recipe for later! 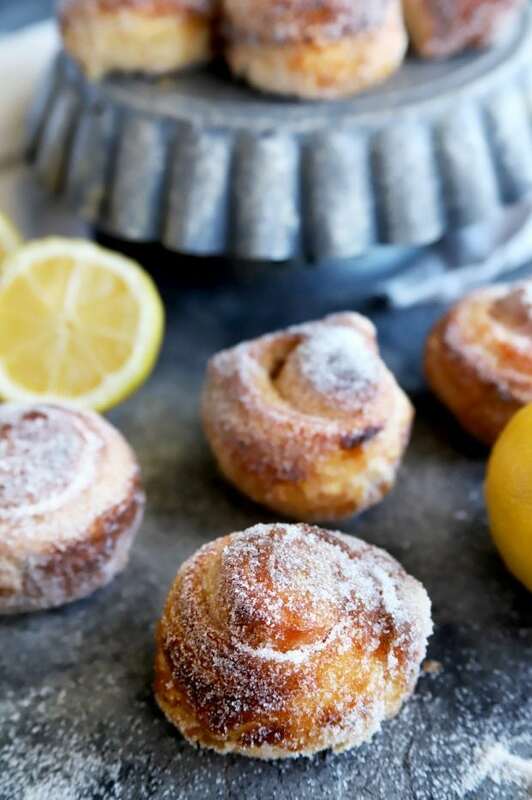 With a burst of lemon zest, these bright and light sugar buns are the best way to start the day. Only 5 ingredients and a few steps are required! Preheat oven to 400˚F. 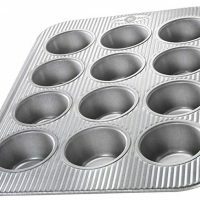 Grease a 12-cup muffin tin with cooking spray or butter. 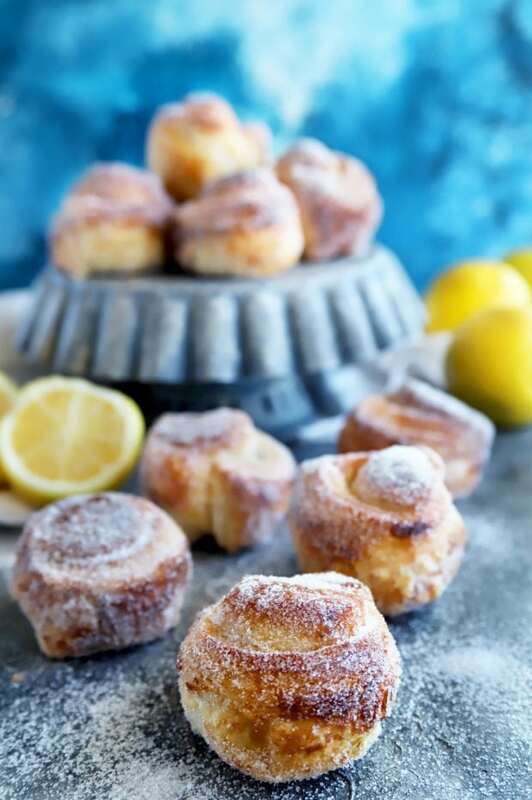 In a small bowl, stir together 2 Tbsp granulated sugar, brown sugar, lemon zest, and salt. Sprinkle a clean, flat work surface with 1 Tbsp granulated sugar. Place one sheet of puff pastry on top. Spread the puff pastry with 2 Tbsp softened butter. 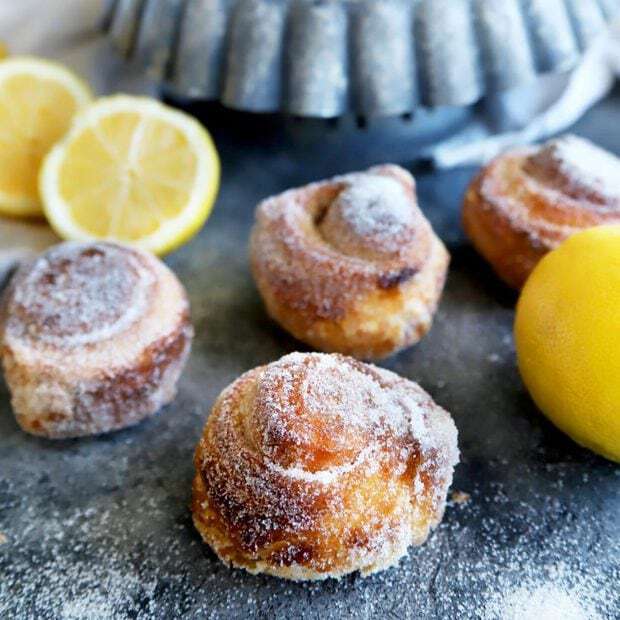 Sprinkle with half of the lemon sugar. Use a rolling pin to lightly roll the puff pastry evenly. This will help the sugar stick on both sides! Tightly roll up the puff pastry from its longest side. Repeat steps 3 through 6 with the other sheet of puff pastry. Cut each long into 6 even rounds. Place each round into a muffin cup, cut side up. Bake for 20 to 25 minutes until golden brown and cooked through. Carefully remove buns to a wire rack to cool slightly. Add remaining granulated sugar to a small bowl. Toss each bun in the sugar to coat.